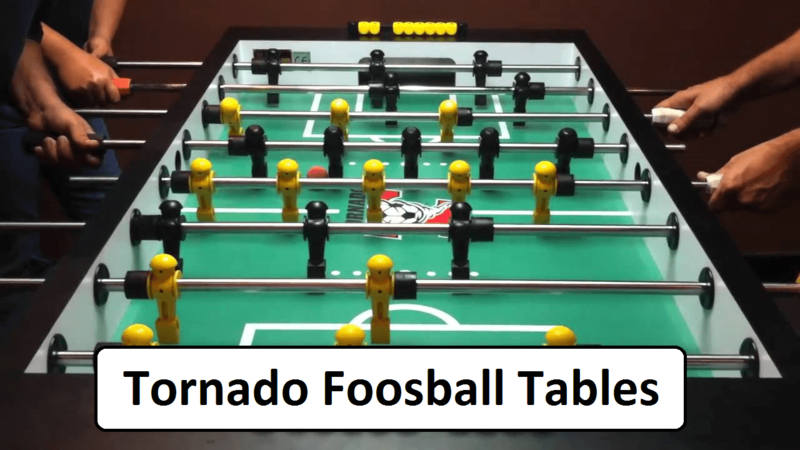 Tornado Foosball Table - Look At Some Of The Best Models! 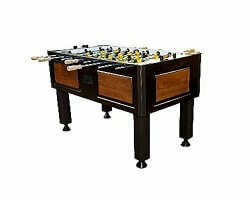 Tornado foosball tables are a world-renowned brand and are manufactured in the United States. This company has been in business since 1982 and is known for their professional and recreational tables. The engineering features on this foosball table are the best in the world, as Tornado claims and are deemed to be of superior quality. Purchasing Tornado foosball table models is a wise investment, as they are built to last and you will have a great time by using them. If you are looking for other great tables see this. 2.3 What is their price? Let us make a Tornado Sport Foosball Table review. This table is selling with free shipping. This foosball table is used by most professional foosball players and has been used in many international tournaments. This table is a quality manufactured table, built to last and is guaranteed to give you many years of enjoyment while enhancing your playing techniques. The Tornado Classic Foosball table is on sale at Amazon and also features free shipping. This table is an incredibly sturdy piece of furniture. Reviews have it to be a beast. The person, who purchases this foosball table for their family, will need a dolly to move and position this baby, as it is so sturdy. The Tornado Classic is a wise buy and you are sure to get top-notch quality for your money. 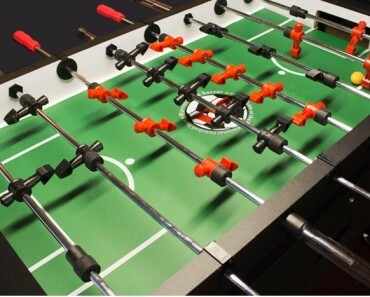 In comparison to other made foosball tables, the Tornado is of the highest standard around. You will not be disappointed with your purchase. The Tornado Tournament 3000 Foosball Table is an incredible buy for those who have been playing foosball professionally. This table weighs a whopping 350 pounds and you cannot get a sturdier table for playing foosball. When they are revved up and going at an incredibly fast pace during play, the heft of this foosball table will not let you down. Professional players swear on the confidence they have in this Tornado Tournament 3000. As you may imagine; it is the BEST table on the market, and sold many times. 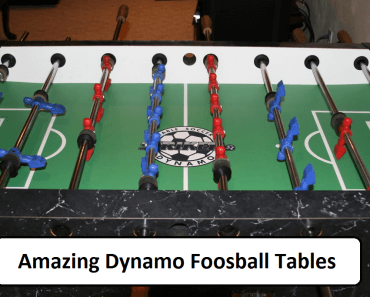 The Tornado Elite Foosball Table is an incredible professional table. Selling for quite a bit of $ you are sure to acquire a state of the art foosball table when you purchase this model. 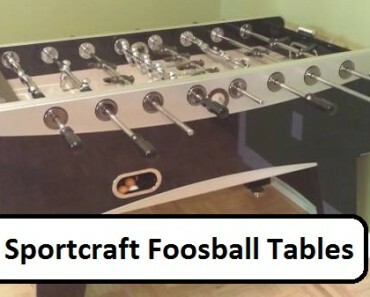 If you are an avid lover of foosball, this table will give you, your family and friend hours of fun. The price is worth the buy, for some owners; their remarks, are it is Expensive but worth the buy. 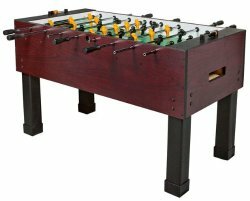 This solidly built foosball table in the Tornado Elite is an investment in fun and wanting to enhance playing techniques. Professional foosball players have given this foosball table some great reviews. This foosball table is being sold and is the cream of the crop as foosball tables go. 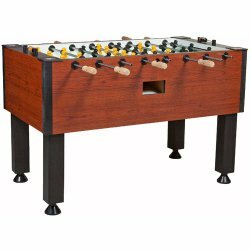 This professional foosball table is guaranteed by the manufacturers as it is built in a genuine wooden cabinet and is a commercial grade for quality and standards. The Tornado Worthington foosball table comes with commercial-grade leg levelers, natural wooden handles, and patented bumpers and playing men. The cabinet is made from 1 1/2 in thick, custom made, two-toned colors, to match the Connelly pool tables. This table is of a high quality and will give you many hours of playing pleasure. 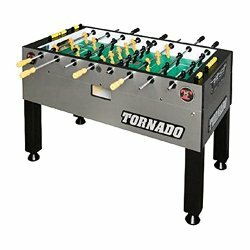 Because of the great standard and quality, the Tornado Foosball table price is just right. 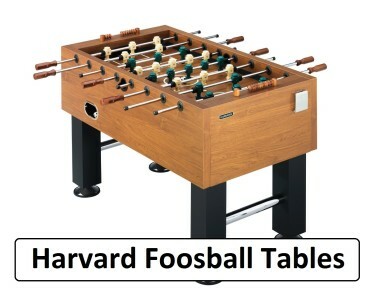 Lovers of foosball will not shy away from purchasing this quality table to enhance their playing techniques. 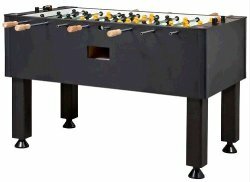 This table is a worthwhile investment and will enable especially professional players and persons who want to become professional at foosball; to perfect their playing techniques. 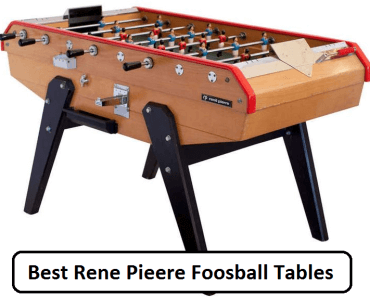 Wanting quality playing experience means paying top dollar for your foosball table; which is what many foosball players have discovered after owning a such a table. Acquiring a Tornado foosball table is easy. Amazon has a wide range of their tables available for you to choose from. Don’t look at the price; an investment and very good investment come at a high price. Choosing Amazon to be your distributor, you will receive professional service just as well as the professional service and noticeable hours of enjoyment you will receive from playing on a Tornado Foosball Table. Replacement part for these brand is also available from Amazon, so you can ensure continuous play, or not having to wait a long time to receive and replace parts as needed. Brand manufacturers have confidence in their quality and standard of their products. 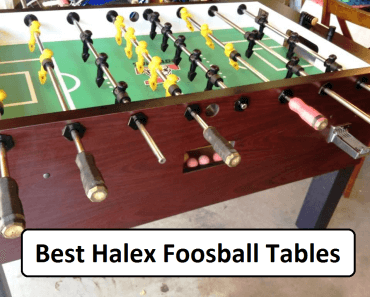 No other foosball table manufacturers have been able to beat the quality and standards, of this illustrious company who have been around for many years. The commitment to providing durable high-end product is the hallmark of their long-standing time in this business. Whether you are a professional foosball player or you want to become a professional player owning a Tornado Foosball table is the way to go. You have now come to the end of the article about this great brand. Now is the time that you take action and order one or two for you and have fun!